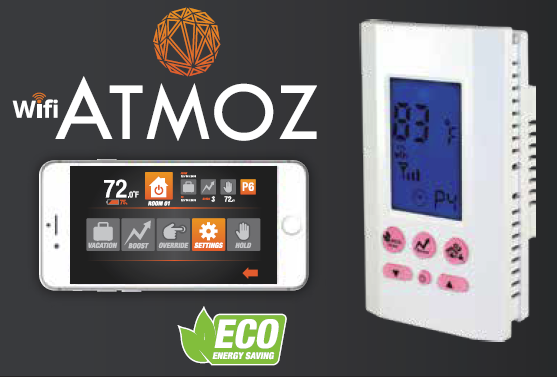 King’s Atmoz WIFI enabled thermostat combines the latest technology with a sleek modern design, offering unparalleled user control. 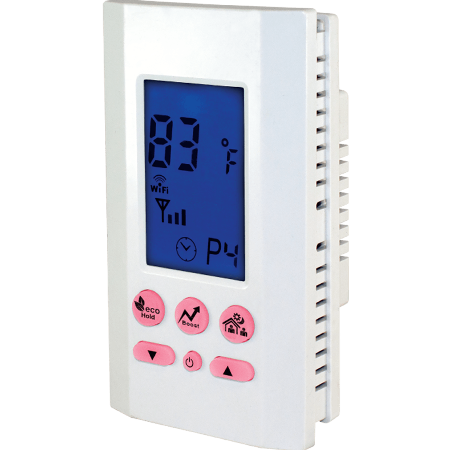 It’s highly accurate sensing technology saves up to 28% on heating costs. This feature achieves higher comfort levels with reduced temperature swings as compared to economy models. With its simple, intuitive smart phone app interface you can control all thermostats in your home with ease. Control is always in the palm of your hands.